Freshly handmade in the UK with high-quality and natural ingredients, STEAMCREAM's 'Freedom & Discipline' Moisturiser is a lightweight whipped emulsion that can be used on the face, hands and body. Developed with the brand's unique STEAM process, the finest ingredients have been fused together by a shot of steam to create a gentle, fast-absorbing emulsion that delivers long-lasting hydration. Harnessing the nourishing powers of Orange Flower Water, Cocoa Butter and Almond and Jojoba Oils, the ultra-moisturising formula softens and replenishes, leaving skin smooth, restored and rejuvenated from top to toe. Presented in a reusable, decorative tin crafted from recyclable materials to reduce energy use and respect the environment. 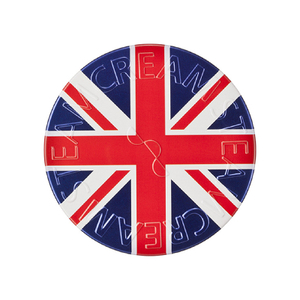 STEAMCREAM follows a strict no-animal testing policy and is approved by the Vegan Society.